ethno australia is an annual music program which consists of a 10 day music gathering in December each year, followed by performances at woodford folk festival, world by night and a number of other performance platforms. bemac run ethno australia as part of an international network, coordinated by jeunesses musicales international. nomads palace is a concept in development for a green-design touring venue dedicated to international indigenous arts and cultures. its main objective is to promote grassroots indigenous arts providers in ways that are culturally, socially, environmentally and financially sustainable. this marries with ethos of honouring the Indigenous way of traveling the land lightly in respectful harmony and social/environmental consciousness. the dynamics of civic engagement program is a suite of projects and activities geared towards increasing peoples’ engagement in all forms of civic life. our partners in this initiative include further arts, southern cross university, youth against corruption vanuatu, bread for the world, and the international centre for non-violent conflict. the gathering is a part of the state library of queensland’s live! program, kuril dhagun are hosting one massive day of celebrations. this free family event was truly deadly! 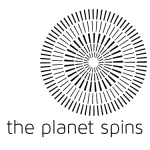 i partnership with the black market collective, the planet spins, nomads palace we put together an amazing line up of Aboriginal and torres strait islander performing artists. from lyrical activists to traditional beats; emerging artists to award winning acts; all gathered in the maiwar green and experienced the musical diversity of queensland’s first nation peoples. the music bridges project aims to reinforce the creation and the production of music goods in vanuatu and mozambique building on south-south cooperation, networking and distribution circuits between regional and european artistic contexts.